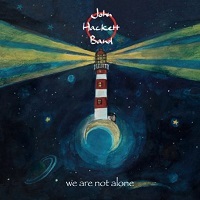 The 2017 studio album by The John Hackett Band – We Are Not Alone – offers a heady and eclectic mix of solid song-writing, swirling mellotron and on occasion, free improvisation. Virtuosic flute and guitar performances are liberally littered throughout the memorable compositions. John’s brother, Steve Hackett, makes a special guest appearance on harmonica on the song Never Gonna Make A Dime, which tells the true story of the Hackett family’s brief move to Canada in the Fifties. Special double CD edition with bonus disc recorded live At The Classic Rock Society, 2016.